​WP builds heavy duty flatback elbows for high and low pressure systems. These abrasion resistant elbows are used with systems handling large volumes of abrasive and corrosive materials. We select the right abrasion resistant material for your wearback and discharge transition applications. 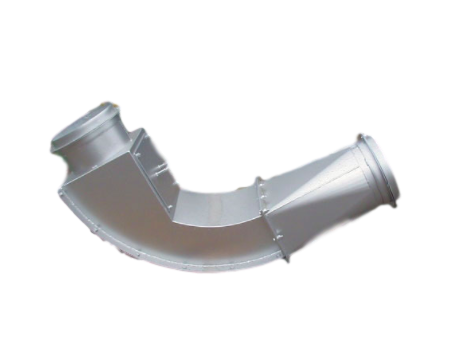 The flatback is designed to get material in and out of the elbow quickly and then deliver material into the center of the pipe at the discharge of the elbow.